In the city of Slavutych at September 23, 2011 the meeting-seminar on cooperation of Slavutych City Council, State Research Institution "Chornobyl Center for Nuclear Safety, Radioactive Waste and Radioecology" (Chernobyl Center) of Slavutych, with World Data Center for Geoinformatics and Sustainable Development (WDC-Ukraine) took place. 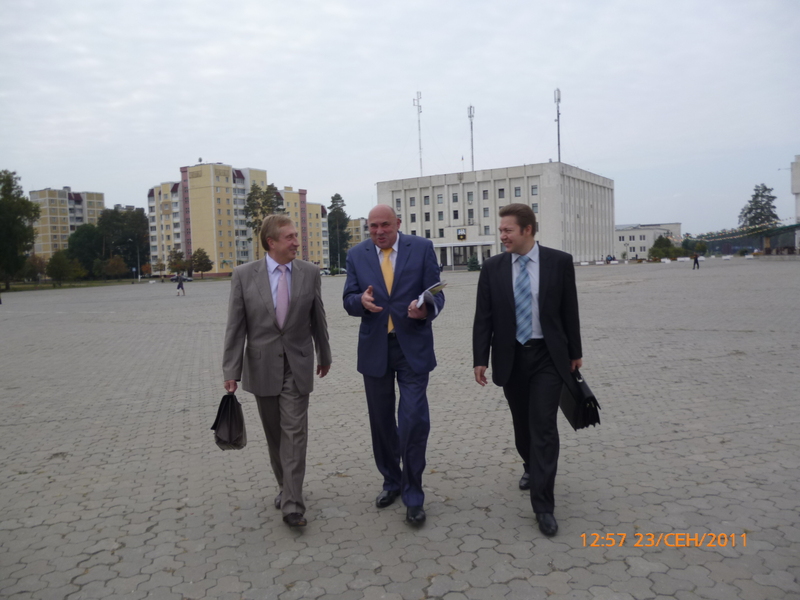 The meeting was attended by Mayor of Slavutych - Vladimir Udovychenko, CEO of Chernobyl Center - Michael Bondarkov, deputy director of Chornobyl Center - Valery Glygalo, Director of Laboratory of Engineering and Technology Chornobyl Center – Vasily Rylov , deputy director of Slavutych branch of NTU "KPI" - Valentyna Chenkova, Rector of NTU "KPI", scientific adviser of WDC-Ukraine - Michael Zgurovsky and Director of WDC-Ukraine - Kostantyn Efremov. Main activities of WDC-Ukraine and Chornobyl Center were presented during the seminar, the format of future cooperation and prospects of joint scientific research of environmental component of sustainable development and consequences of the Chernobyl disaster were discussed. 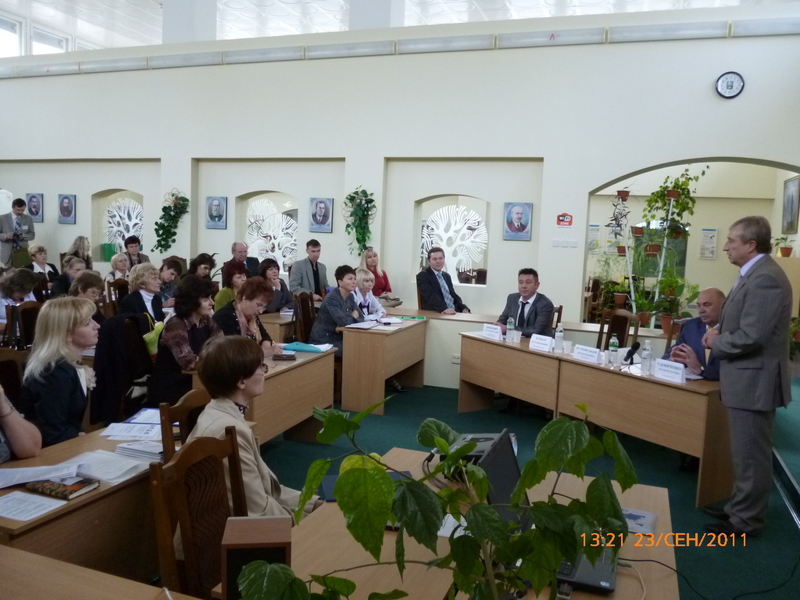 Participants pointed out the importance of data on effects of the Chernobyl disaster and the necessity ofaccess to them for the world scientific community. 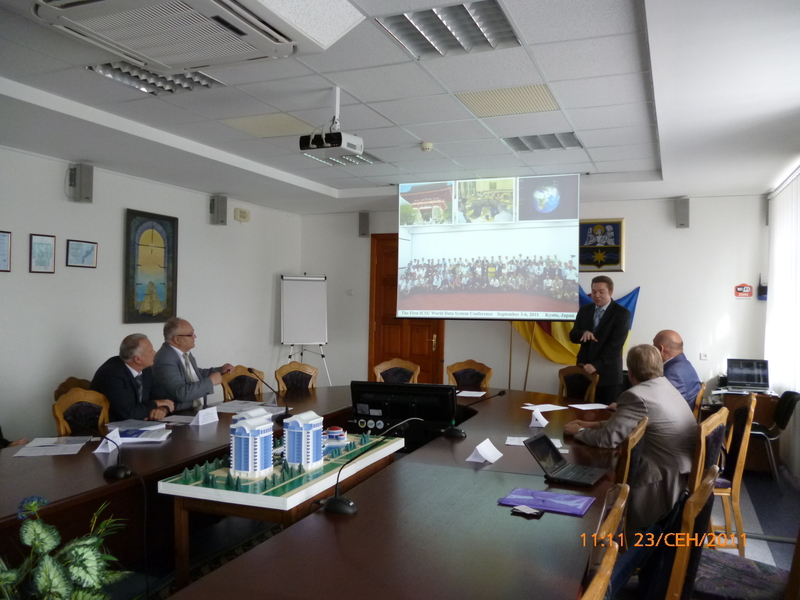 Also they've the development of higher education in Slavutych on the basis of NTUU "KPI" and joint Consortium for Education in Sustainable Development - Central Eastern European Institute for Sustainable Development (CEEISD). 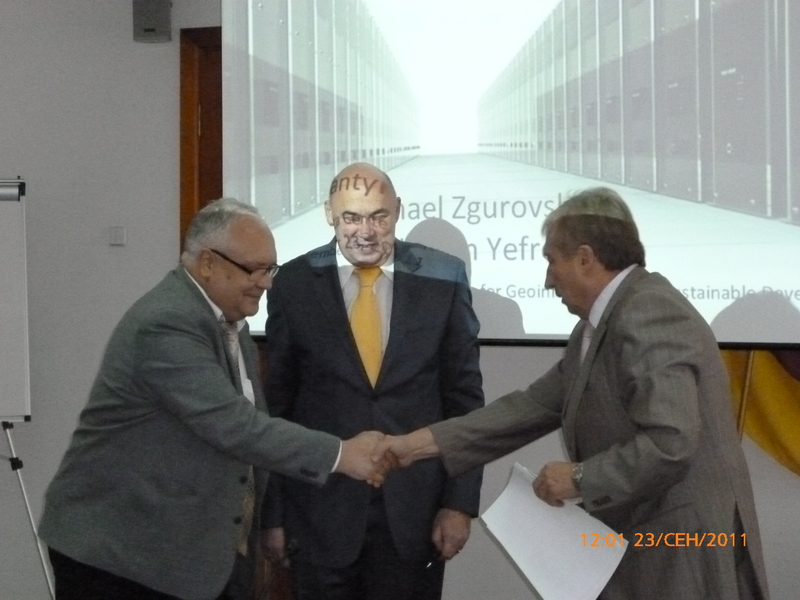 As a result of the meeting - the Agreement on partnership, cooperation and scientific exchange between the Executive Committee of Slavutych City Council, the State Research Institution "Chornobyl Center for Nuclear Safety, Radioactive Waste and Radioecology" and the World Data Center for Geoinformatics and Sustainable Development was signed. 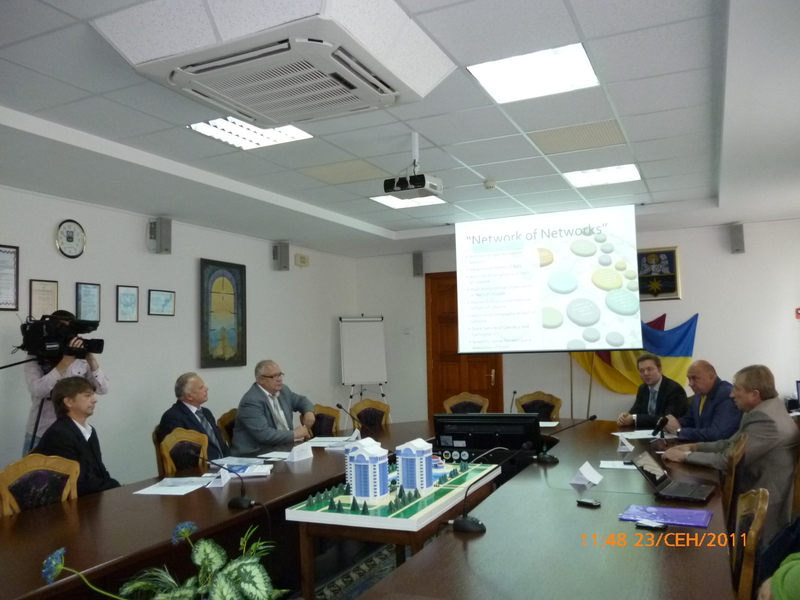 During the visit of NTU "KPI" Rector - Michael Zgurovsky to Slavutych city, he welcomed the participants of the workshop for heads of regional, city, methodic cabinets, and such centers as “Usage of informational resources in the educational system of the region" . 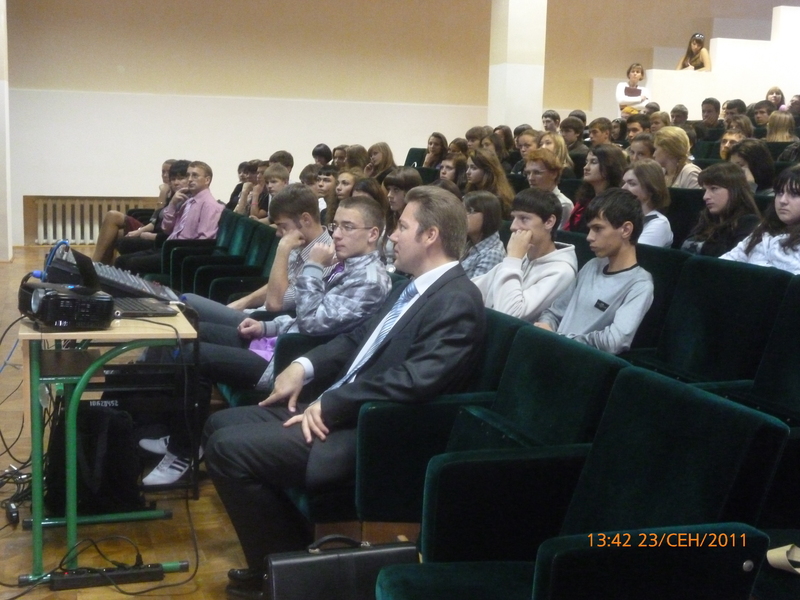 There also was the meeting with 11-graders of Slavutich and participants of the XVIII International Festival of children's art, television and press "Slavutych Golden Autumn"